With around 250,000 visitors every year, the Ogwen Valley is an extremely popular location - it's just a shame the current Warden's building does not do justice to its setting. The building was originally designed as a garage, snack kiosk and toilets at the end of 1970 and, over the years, it was converted to provide office, storage and interpretation areas. But, in early November, construction will start on providing a brand new building. The proposed new facilities at the Centre will include an office for 3 people, toilets, changing areas, food kiosk, and a sheltered area for interpretation which will be suitable for groups, monitors providing 24 hour weather information and visible from the outside, interpretation panels, assembly points for groups, and curtilage area which will separate cars, people and parking facilities for bicycles. 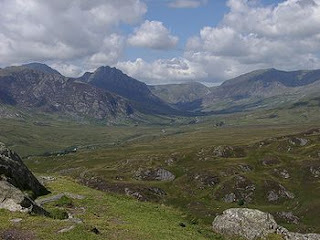 These much needed improvements in the Ogwen Valley - which is to the North East of the peak of Snowdon - has come through the Cwm Idwal Partnership, a combination of the Snowdonia National Park Authority, the Countryside Council for Wales and the National Trust. Funding is from the CAN strategic project (Communities and Nature) through the European Development Fund and the Countryside Council for Wales through the Welsh Government. 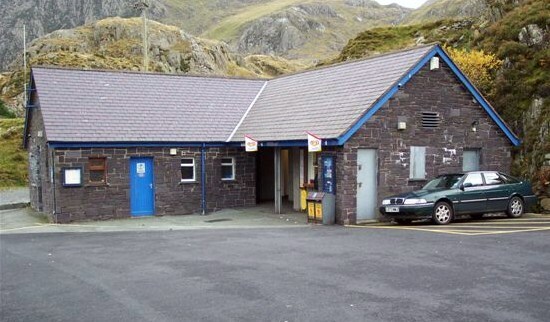 "The facilities at the Warden’s base in Ogwen were limited and basic, and did not offer the best service or provision for the 250,000 visitors who visit Ogwen each year. The new Cwm Idwal Centre will be a gateway to Snowdonia, and one which will improve people’s understanding and enjoyment of Cwm Idwal, Ogwen Valley and the surrounding area. It will also attract a wider audience to take advantage of the various recreational and educational opportunities available here. " Construction work should be finished early in 2013 ready for opening in the summer. In the meantime, snacks and drinks facilities will not be available at the site - but there will be temporary toilets and parking spaces will be limited during the construction period.